Perfect Length- The False Nails are durable with perfect length. You have the option to wear them long or clip them short, easy to trim and file them to in any length and shape you like. The normal delivery cycle is approximately 12-193 days. This is the delivery cycle. Not Amazon's delivery date. If have abnormalities, it may be longer, please understand it! Plus, ABS is kind of green enviromental material,and makes the nails durable,breathable,light even no pressure on your own nails.Fit well to your natural nails.Non toxic,No smell,No harm to your health. 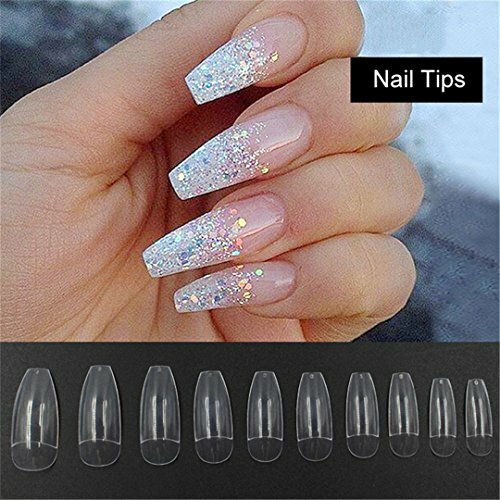 DIY home nails art.Perfect to be used on wedding ,prom ,dating, and they also suitable for Halloween, Christmas ,Valentine's Day and other festival.Wonderful as gift for girlfriend,family and friends. The easiest and most efficient way to do your nail tips for manicures or nail art designs.It's Fashion, Creative, is a very useful accessory brighten up your look, also as a gift. If you have any questions about this product by JZJ, contact us by completing and submitting the form below. If you are looking for a specif part number, please include it with your message.